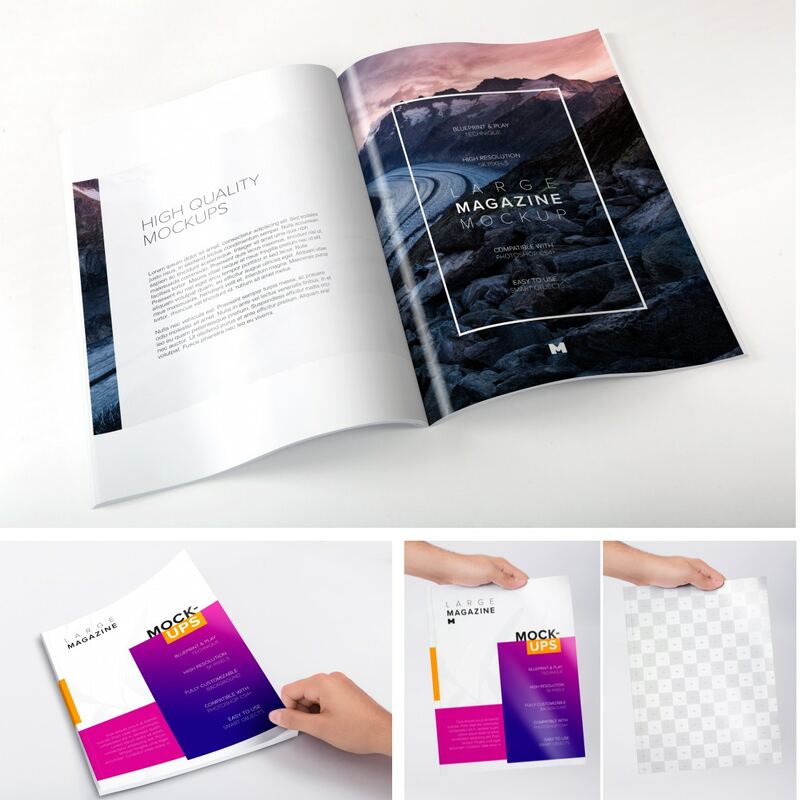 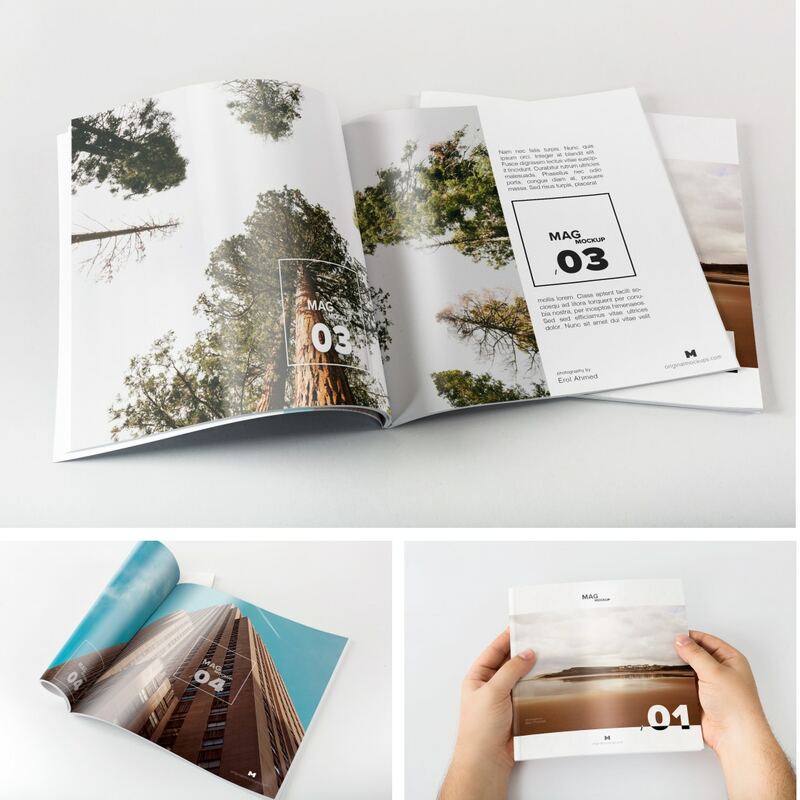 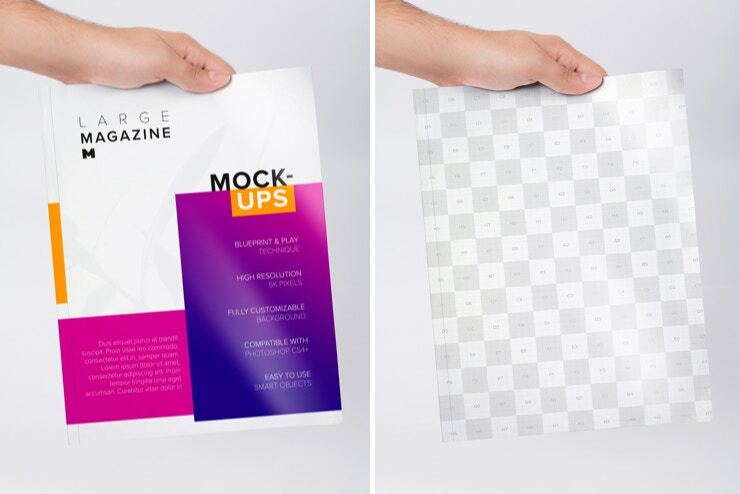 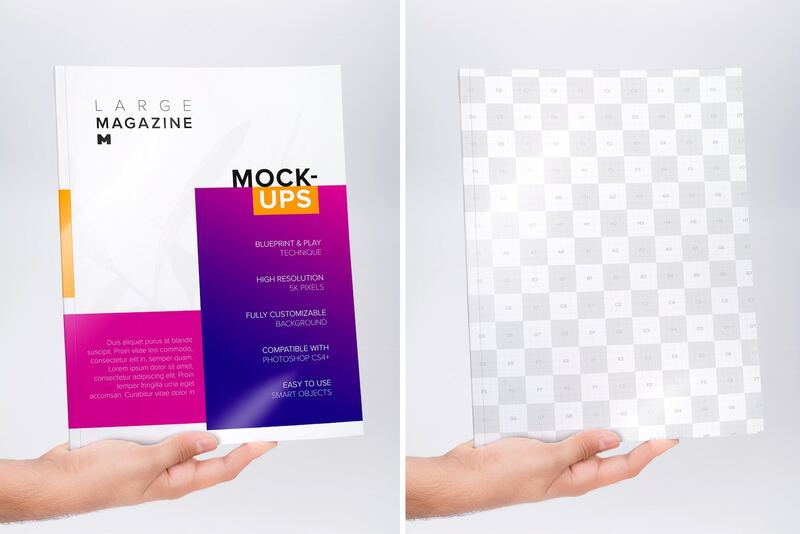 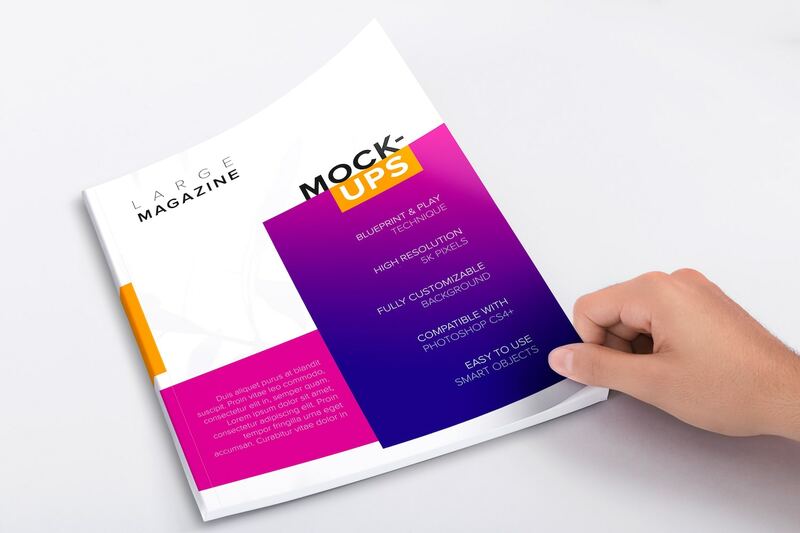 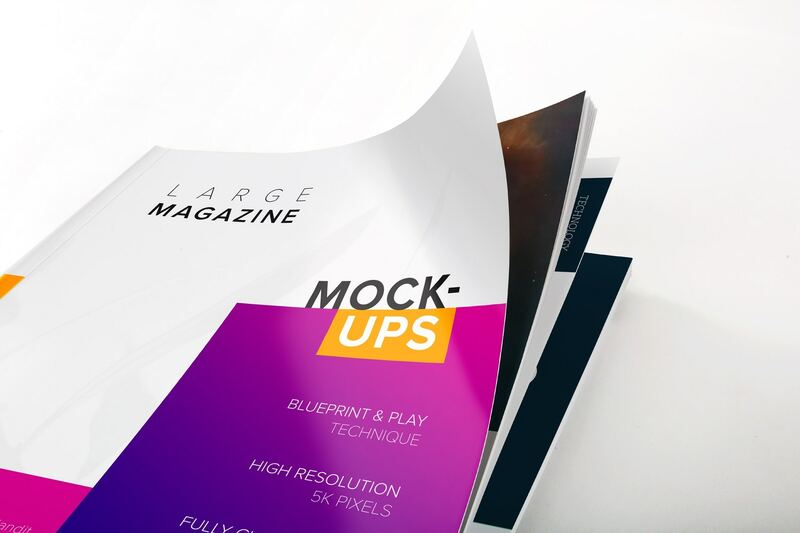 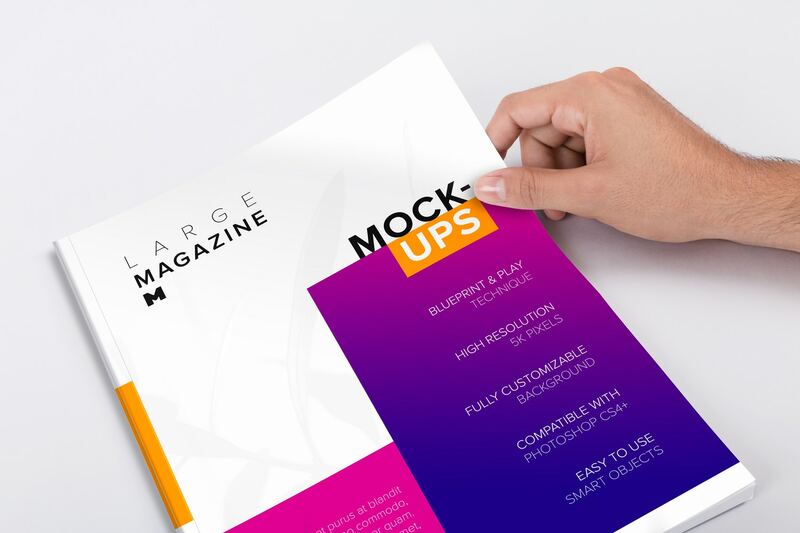 This package contains Seven Mockups for Large Layouts (23 x 30cm) that can be used to create previews for magazines, brochure, and catalogs, the full pack have everything needed to create an attractive presentation of your project to improve your portfolio. 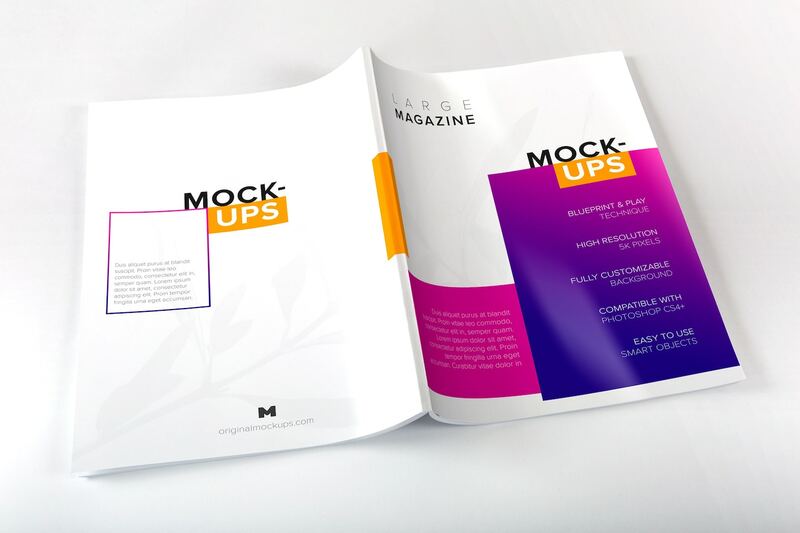 These mockups use the Blueprint & Play technique and require a photoshop action that you can find in the downloads panel of our page in the "Actions & Resources" tab. 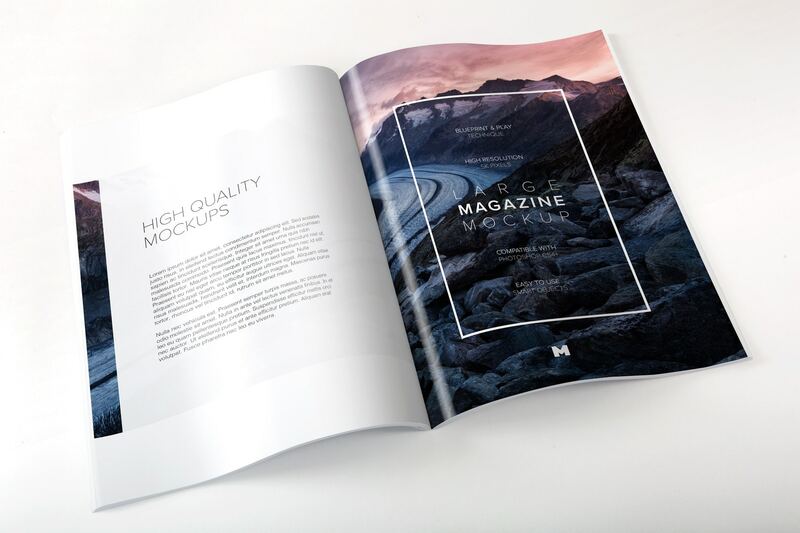 But you can also customize in the traditional way without the need for photoshop actions through the Smart Objects.